Retail gas prices across the country, including in Kansas, are rising sharply on the heels of Hurrican Harvey. The impact of the natural disaster is reducing supply from the Gulf Coast region to distribution points around the U.S. Gasoline futures prices in the U.S. have risen more than ten-percent over the past two days to a two-year high as investors counted the cost of Tropical Storm Harvey’s devastation. Reports from refineries are the storm has taken out the equivalent of more than three-point-six-million barrels of refining potential in the Gulf of Mexico region. Key distribution pipelines that take gas products to markets around the United States also have been hit, although most are still operating under reduced capacity. 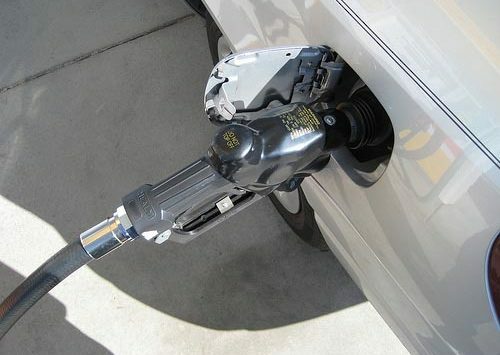 According to AAA Gas Prices, average gas prices are hovering around $2.40 a gallon across the country. That’s up more than ten-cents from last month’s average. In Kansas, the average price for a gallon of regular unleaded has risen 4 cents a gallon this week to $2.27.